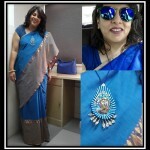 If there’s a saree that more or less defines my workwear saree style, it is this one. 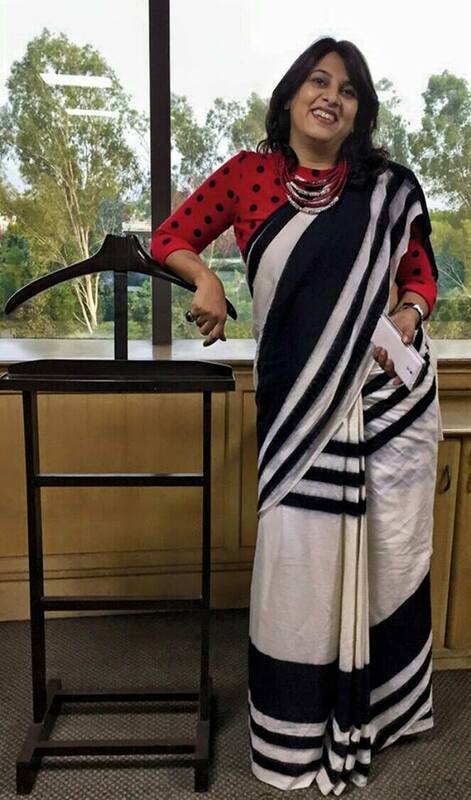 A simple graphic saree in handloom cotton that looks quite dramatic when worn, especially with sky-high heels. Usually teamed with a fitted collared white shirt, but sometimes, like for the Happiness Study launch event, where I had to address the press, pepped up with a funky red crop top.